60 plus videos and over 14 hours of training take all the research, trial, error and frustration out of your card magic. 34 Routines and Techniques so you’ll always know which tactics to deploy (plus when, and HOW to use them). Lifetime Access including future upgrades and updates, our ‘Critical Path’ Progressive Training Map and More! Over 60 training videos take you step-by-step through a system that makes Card Magic Miracles easy to master. How to easily master and connect the Force, Bottom Switch and Cover Reverse with your Shuffle System to create a complete system for IMMEDIATE amazement. Lifetime Access to your personal Pathways Training Portal, including all future program updates and releases. 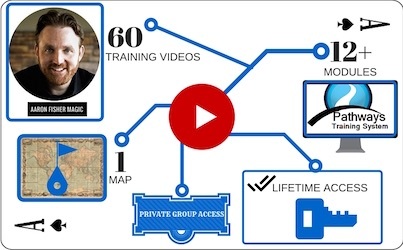 The Critical Path Progressive Training Map, so you always know exactly how to find the shortcut to mastery. Access our Member’s Only Private Online Community, where you can always get help from my team, myself and your fellow Pathways Members. Pathways Notebooks: Download or print to master even faster! Bonus # 2: NEW 'The Paper Engine Revelations' - Discover never before revealed secrets and revelations about Aaron's modern card magic classic! 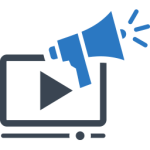 Bonus #3 - NEW FOR 2019 Live Video Coaching Calls with your Questions; Live Hotseat Sessions and More! All orders 100% SAFE using our SECURE server. Does Pathways only work for experienced card workers? What if I have questions during the coaching program training? The Pathways Coaching System isn’t just training videos and tricks. It’s an actual coaching program and membership into a powerful group of like minded people pushing you towards success. So, my team and I will be here for you, to help you get your Pathways to card magic up and running – QUICKLY. I know you’ll have questions along the way and that’s why we created the Private Members ONLY Facebook group… So you can ask questions and get answers from my team and I AND your fellow students. How long will it take to get access? Your login and access information will be sent to your email address as soon as you join. Immediately after payment, you will be directed to a Welcome Video that explains how you can access the Members Area right away! Get ready to start growing your card magic immediately! Yep…all our trainings have a 60-day, no-questions-asked guarantee. In other words, if you aren’t happy for any reason, just let us know and we’ll give you your money back. We obviously don’t think it’ll come to that, but if you’re even the least bit worried if this will work for you, then put your mind at ease. You either get the results you want or you get your money back. It’s as simple as that! HURRY! 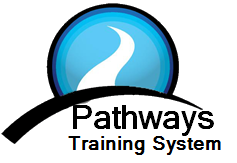 Claim Your Spot In The "Pathways Training System"